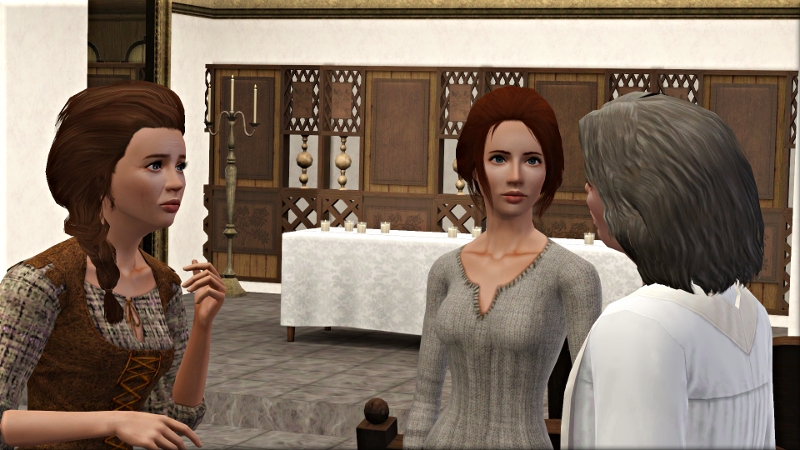 On the first day of spring, Beatrice and her daughter Jaclyn take their candles to church to be blessed. They spend the rest of the day giving the house a good clean. The following morning, the spring planting begins. 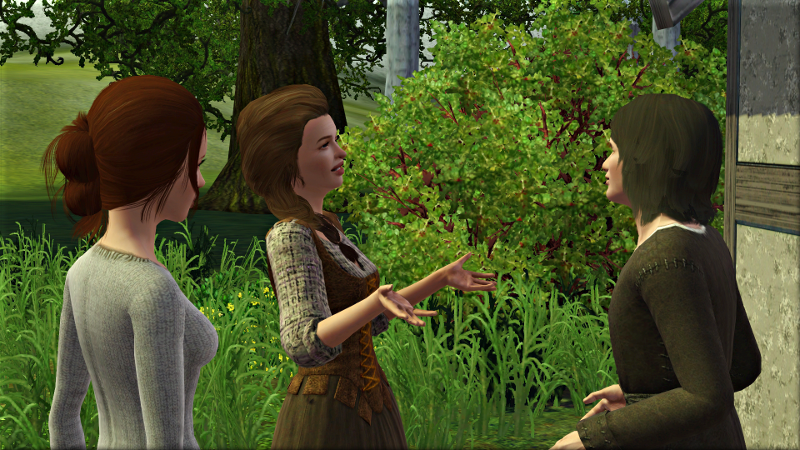 Jaclyn helps her father in the garden while her mother packs up his lunch. They are lucky to have had such a mild winter; this time last year the snow was only just melting. The family waves goodbye to Henry as he heads off to his lordship’s fields for a day of hard work. After their morning chores are done, the women prepare lunch, while little Walter and Margery play together. Henry is away all day. 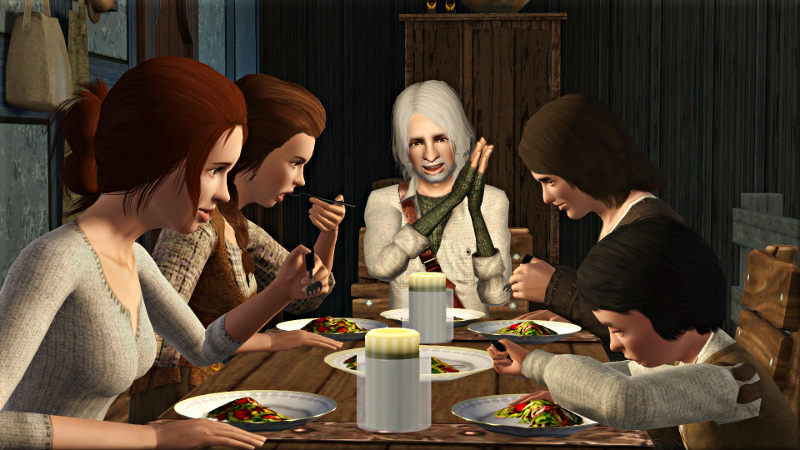 When evening comes, they eat their supper without him. Outside, it is raining. 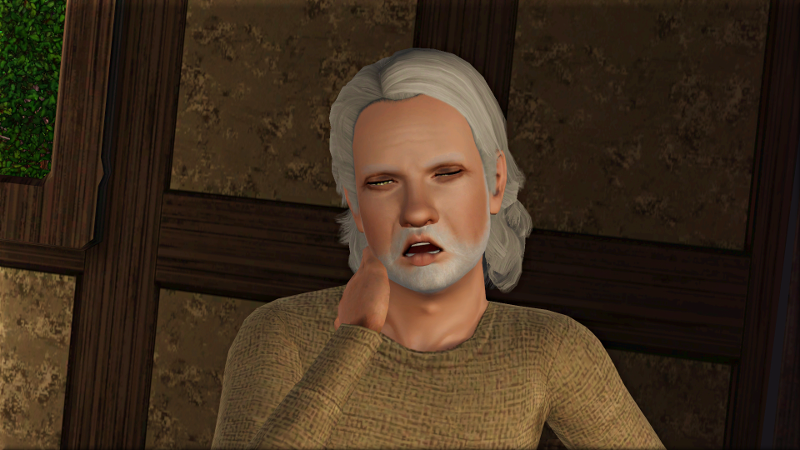 Beatrice hopes her husband has not been caught out in it; a chill can be deadly at his age. When he at last returns home, he reassures her that he was at Plumbob Hall eating his supper through the worst of the shower. Still, his wife insists he dry himself out properly before bed. 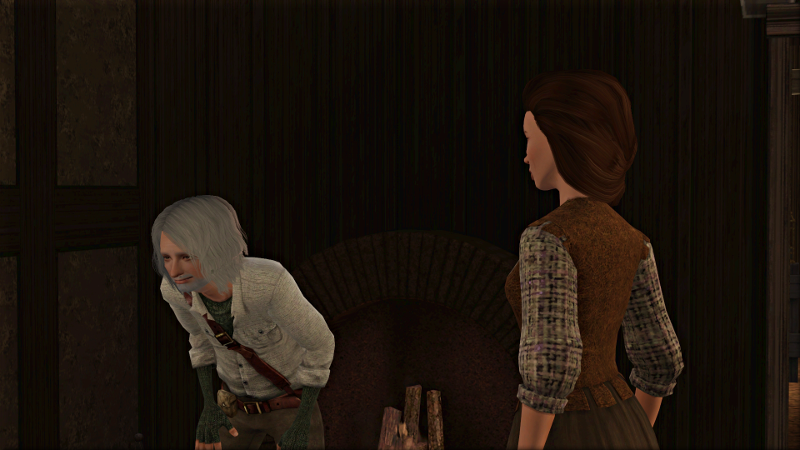 Henry complies, waggling his rear around in front of the fireplace to make her laugh. They chuckle quietly together while the children sleep. By Thursday, the autumn crops are all in the ground, and it is time to celebrate Absolution Day. 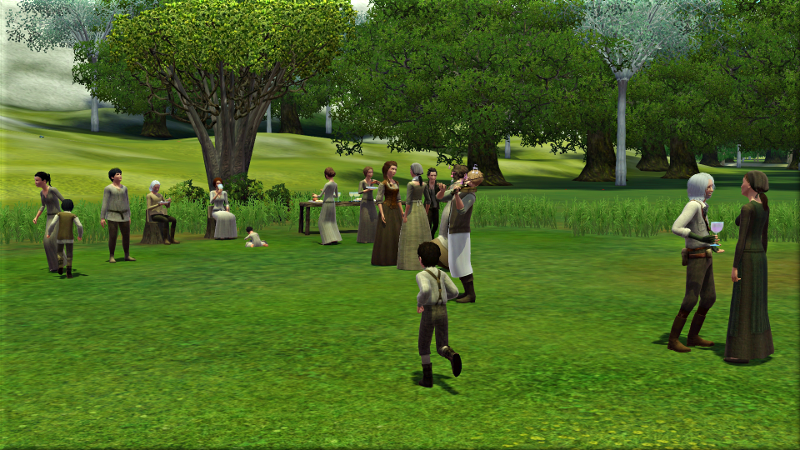 Henry Brewer is late to the festivities on the village green. When he arrives, he has a young man with him. This is Hugh, the stepson of his lordship’s old groom Tall Ralf. Ralf is now married and living in Lockville. Hugh has brought his stepfather’s horse to the village to breed with the brewer’s mare. 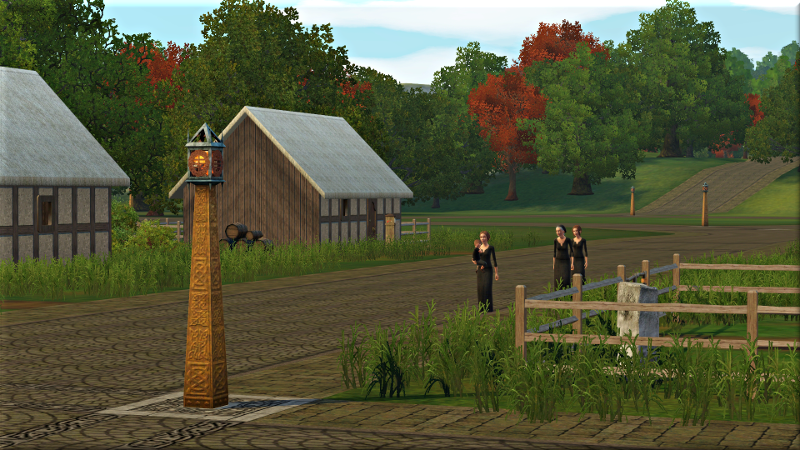 The villagers welcome him warmly to their celebration. Some of the wives send their children to fetch jars of jam for his mother, who he says has just given birth to a little girl. The feast is kept with nectar, sweets, and sports. Jaclyn finds herself sitting out a lot; all that running around is just too tiring for her. When Hugh sees her, he comes over to say introduce himself. She is embarrassed about not joining in with the others, but he smiles kindly at her and tells her is no good at these games—he always ends up tripping over himself. Jaclyn is glad of his company; she hates to be alone. 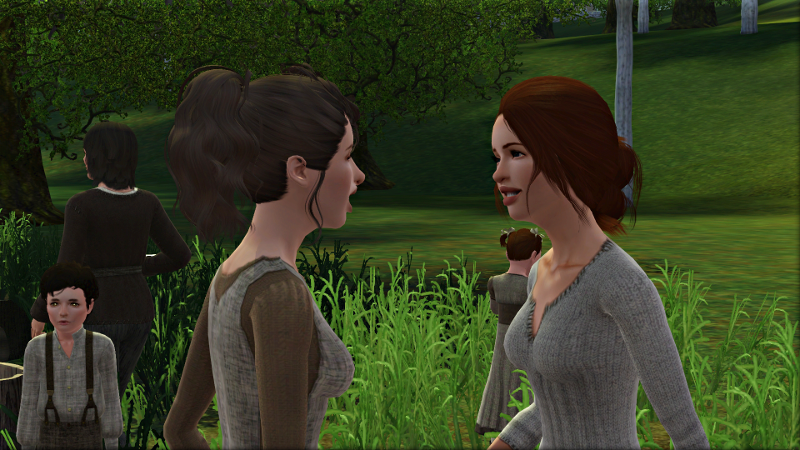 When her friend Tephna pauses for breath, she comes over to say hello. 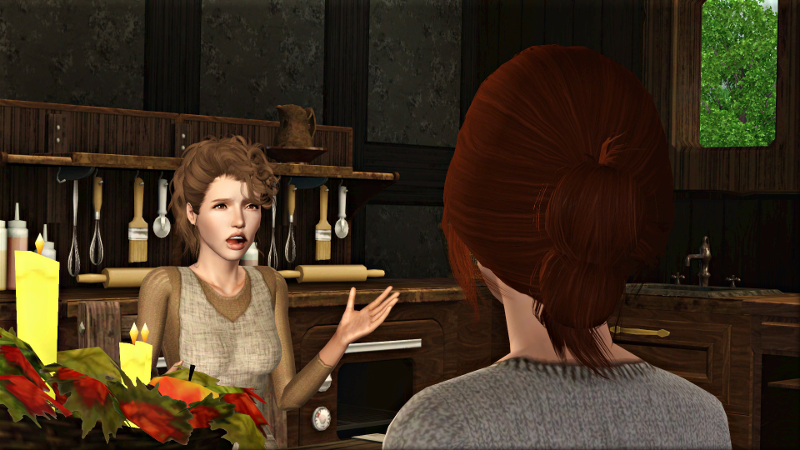 Hugh must try her father’s buns, she tells him. 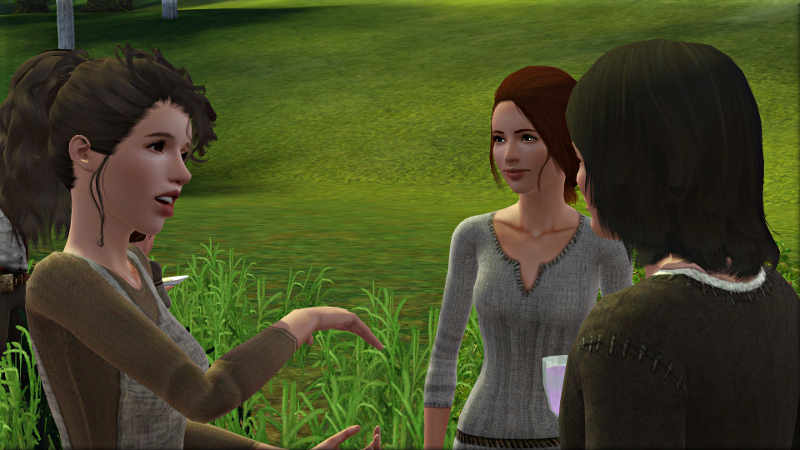 The girls catch up while he wanders off to choose some. Hugh and Jaclyn spend the rest of the afternoon talking. The next day, before he makes his way home, he stops at their house to take his leave of her. Jaclyn’s mother will not let him go without first coming in for a bit of lunch. It is cabbage fresh from the garden with pickled cucumbers and carrots, meager fare but fit for the first day of the spring penitence. 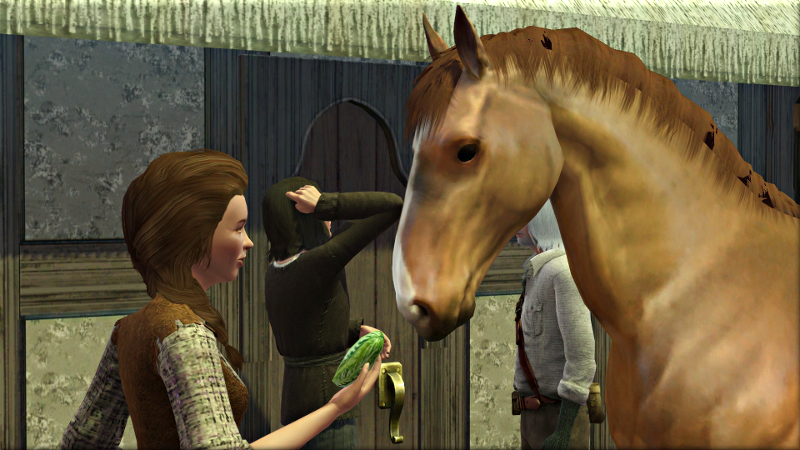 Beatrice has a treat for Hugh’s horse. 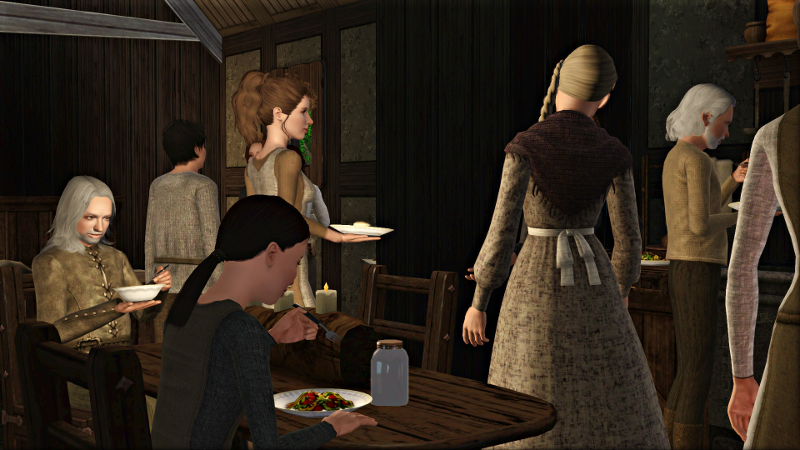 With all rich foods now banned until the Feast of the Watcher, the bakery does very little business, and Jaclyn finds that Tephna is often free to talk. 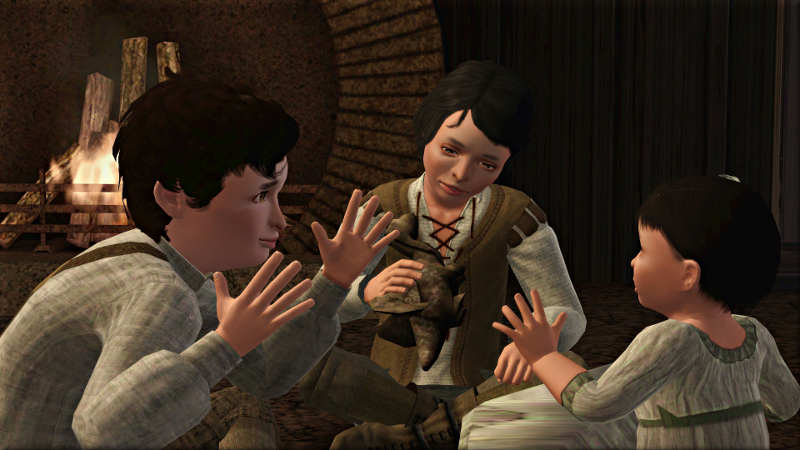 Walter and Margery like to play with Tephna’s little brother Adam. 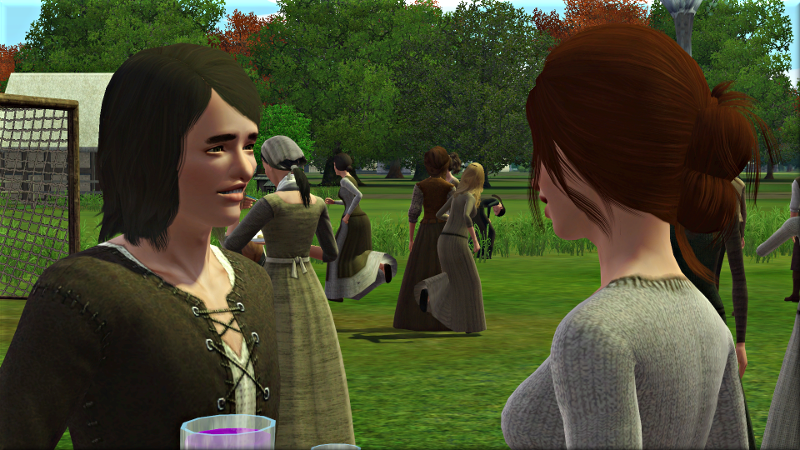 Oriel, the baker’s middle child, is as prickly as ever. 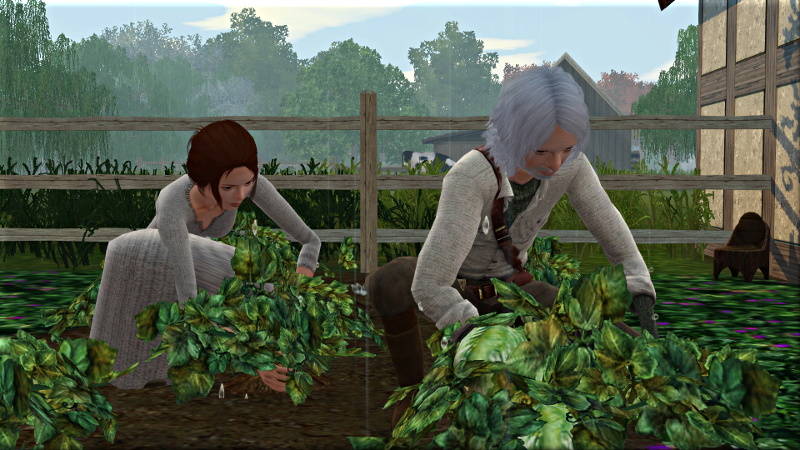 Each morning throug the rest of the season Jaclyn helps her father take the cabbages in. It rains sometimes, but she still prefers this work to the exhausting autumn harvest. On Saturday, Speckle’s foal is born. This one will go to Hugh’s family, the brewer’s wife explains. The next time they will have another one to keep. That night sad news spreads through the villager: Robert Fowler has passed away. On Sunday morning, his wife and children come to church in their mourning clothes. Everyone offers their condolences, promising to remember him in their prayers. At the meal that follows the service, old John Cotter looks tired. 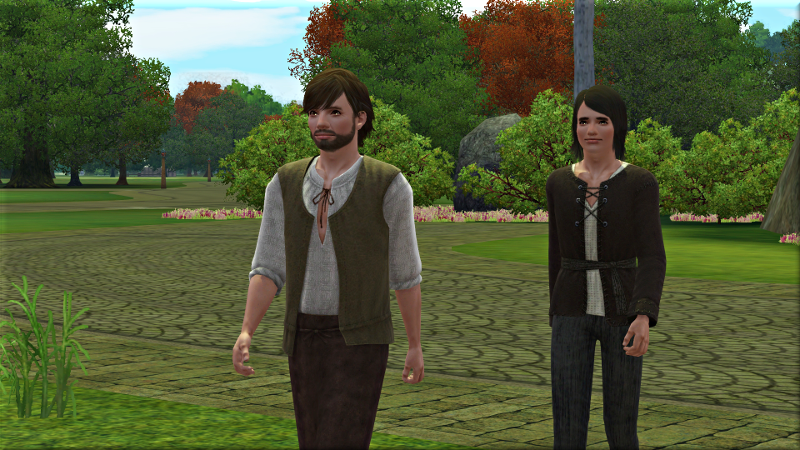 He and his two sons have stood vigil all night, protecting the Fowlers’ cottage from evil spirits. 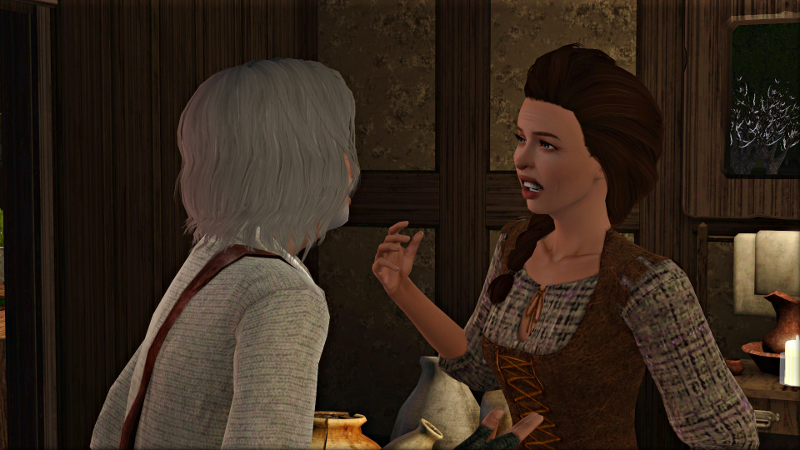 His eldest, Hugh, comforts Robert’s daughter Rikilde. The funeral feast is a scanty one, even for this time of year. There is no fish, just cabbage, stewed and pickled, and some dry spring buns. The family must be worried about money. And no wonder. 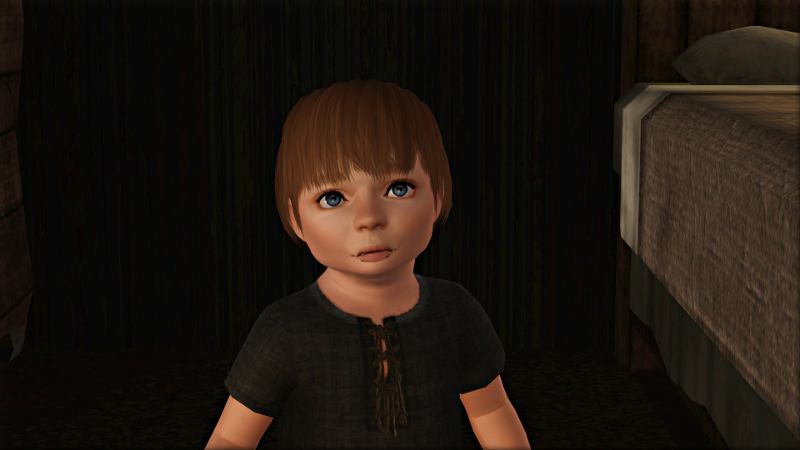 Robert’s heir is only just forming his first words. It will be weeks until he can help in the fields, and years until he is of age to inherit. Lord Snordwich always had bread in his buttery for those in need, but with him away until who knows when, there is no telling what kind of charity his staff will offer. 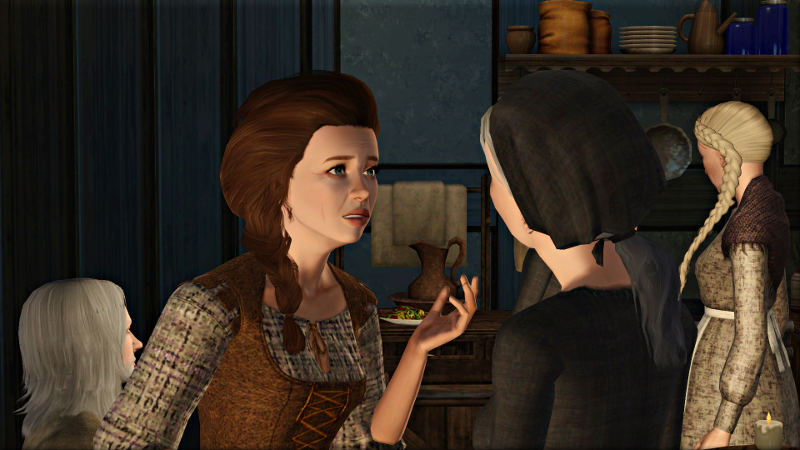 Beatrice assures Elvina that she and Henry will do whatever they can to help. No! You’ll be missed Robert Fowler! I know! And the others are all getting pretty old now too–eek! Haha, I know the feeling! The game’s been quite kind to me so far. Robert lived a long time past the end of his life bar. Ah, I read these chapters out of order. Robert! I feel for his family. I also hadn’t realized that they had only just had their son. He certainly is young. 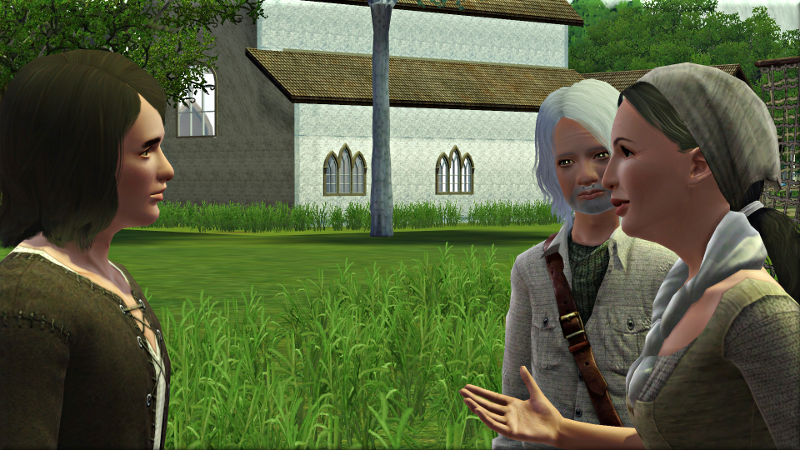 All the original villagers are starting to grow old now! But I’m excited to see their children growing up and pairing off. Yes, time is moving on! I’ve spaced their ages out a bit so hopefully they won’t go all at once.